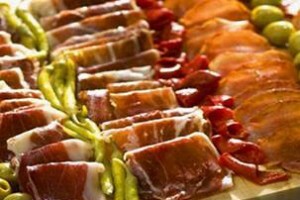 Tapas are a wide variety of appetizers and snacks, in the traditional and authentic Spanish cuisine. Succulent starters to open up the appetite, served before the food. *Please ask for our up-to-date Tapas prices. 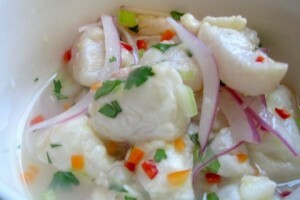 A classic Ceviche and popular dish in the Spanish kitchen. The basic ingredient is raw fresh fish, cut into bite-size pieces and marinated in Lime juice, salt, and seasonings. 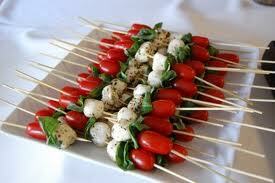 A light, refreshing and trendy dish your guests will enjoy. Cool, tasty and delicious. 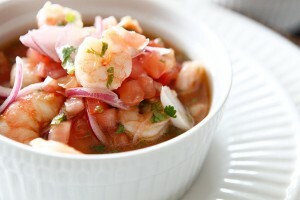 Shrimps served with chopped red onion, chile, cilantro, cucumber, with lemon and lime juices. Plantains are gently fried, then smashed and shaped into cups and fried again. 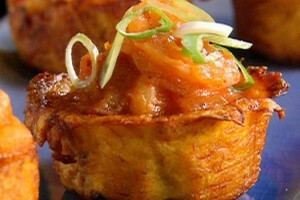 The crispy cups are then filled with seasoned beef, seasoned chicken or fresh shrimp. 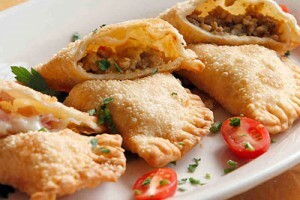 $1.50 "Beef & Chicken" / $1.90 "Shrimp"
Beef, Chicken or shrimp filled turnovers pastries, fried to perfection. 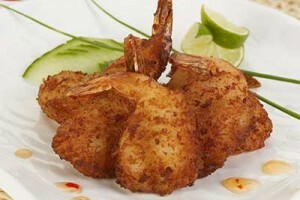 Crispy and perfectly crunchy shrimp are rolled in a coconut beer batter and fried. A tropical taste your guests are sure to find delightful. Tomatoes, Bocconcini bites and basil leaves. Drizzled with extra-virgin oil, salt and pepper, for a fresh and delicious appetizer. 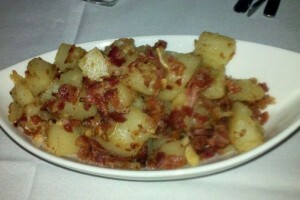 A staple and delicious side dish in the Spanish culinary realm. 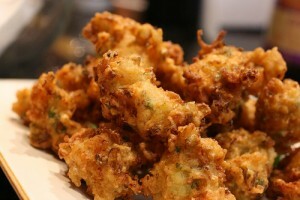 Conch Fritters are great as an appetizer, finger food or as a very tasty hors d'oeuvre. 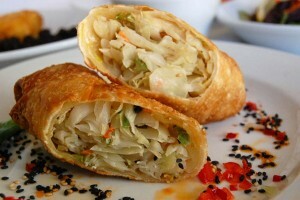 A savory biscuit roll stuffed with pork, shrimp, or chicken, adding cabbage, carrots, bean sprouts and other vegetables, and then deep fried. 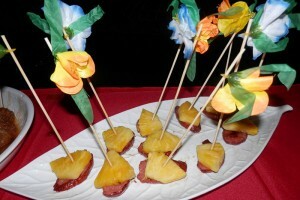 Grilled smoked sausage, fresh cuts of pineapple in skewers brushed with a pineapple glaze.